The all-new 2019 Toyota RAV4 is the perfect companion for any adventure near or far. Completely redesigned with a fresh, new look and impressive new platform, the RAV4 is ready to tackle any on- or off-road excursion with ease. Plus, thanks to its versatile interior, outstanding cargo space and first-class technology features, boring road trips are a thing of the past in the new RAV4. Are you ready to explore the open road like never before? Check out the all-new 2019 Toyota RAV4 today at Johnson City Toyota. Conquer the great outdoors in the all-new RAV4 thanks to the Toyota New Global Architecture (TNGA) platform and Multi-Terrain Select feature allowing you to tackle any terrain with ease and confidence. Not only does the RAV4 capture attention with its striking new look, the new exterior also contributes to the smoother ride and more responsive handling you’ll experience behind the wheel. In addition, the TNGA platform allows for increased interior space so you can enjoy the best of both worlds on the go. It’s time to rev up the fun on every adventure courtesy of the numerous tech features integrated throughout the new RAV4. You can say goodbye to boring road trips and hello to a more connected ride thanks to features like Apple CarPlay™ compatibility and the new EntuneTM 3.0 multimedia system delivering endless entertainment out on the open road. No one wants to bring their cares along for the ride. That’s why the 2019 RAV4 comes with standard peace of mind so you can truly enjoy every moment spent behind the wheel. Equipped with the impressive Toyota Safety Sense™ 2.0 (TSS 2.0) suite of advanced safety features, the new RAV4 was designed to keep you safe and protected from life’s unexpected moments. Plus, with Toyota’s first camera-based digital rearview mirror, staying focused on the road ahead while keeping track of your surroundings has never been easier. 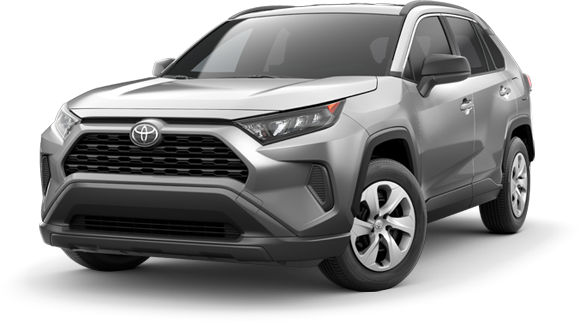 If you’d like to purchase or lease the all-new 2019 Toyota RAV4 in Johnson City, TN, stop by Johnson City Toyota at 3124 Bristol Highway, Johnson City, TN 37601 for a test-drive today. We look forward to serving our customers from Johnson City, TN, and throughout Bristol and Kingsport, TN.